96.99 GBP In stock, ready to dispatch. The Jabra EVOLVE 65 is a professional wireless headset that has been designed to improve concentration thanks to its premium noise-cancellation technology. 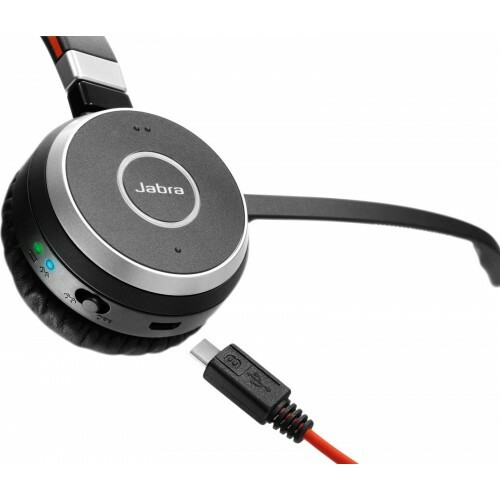 This model has been optimised for use with Lync and comes with the Jabra Link™ 360 USB adapter for use with VoIP softphone, smartphone and tablet. 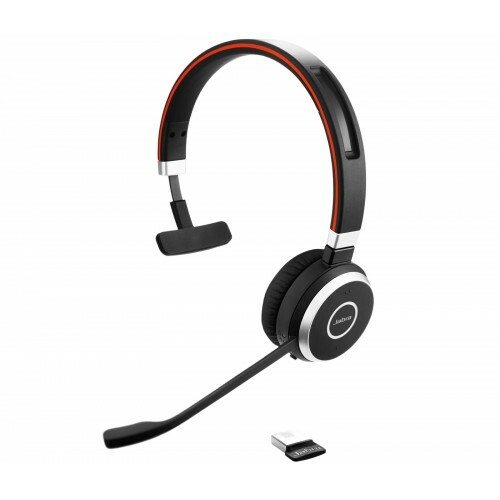 Equipped with noise-cancelling technology to reduce interference from unwanted background noise, the Jabra EVOLVE 65 MS Mono is ideal for open plan offices (if you’re easily distracted by what’s going on around you then consider the stereo version of this headset – available here). The speakers will enable you to enjoy audio in HD-sound, and you will be heard thanks to the sophisticated noise-cancelling microphone. 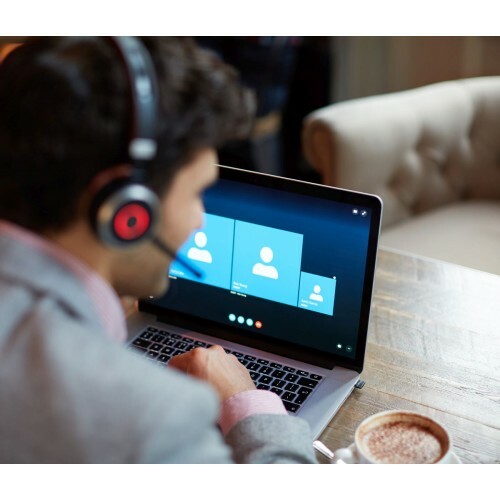 Stay connected up to 30 metres away from your PC, laptop, smartphone or tablet with the Jabra EVOLVE 65 giving you the freedom and flexibility to leave your desk without the need to worry about losing your call. 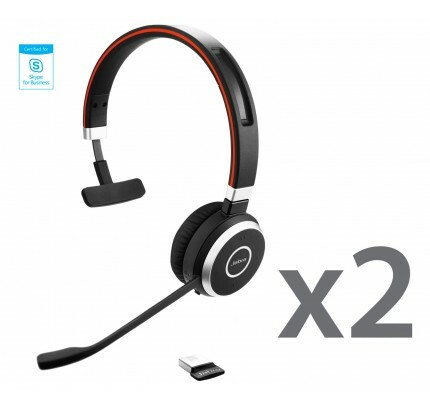 Near Field Communication technology (NFC) means that you can connect your Jabra EVOLVE 65 MS instantly with NFC compatible phones and tablets. Simply tap your Jabra headset and device together and you’ll be ready to talk and/or stream music. 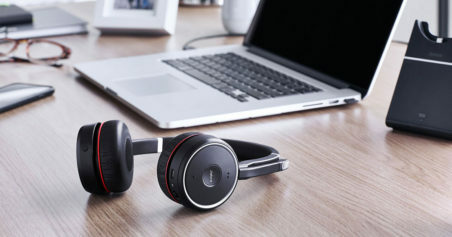 And once connected Jabra Voice Controls allow you to answer and reject calls, play music, and call back and so on hands-free. Why should you buy this wireless headset? 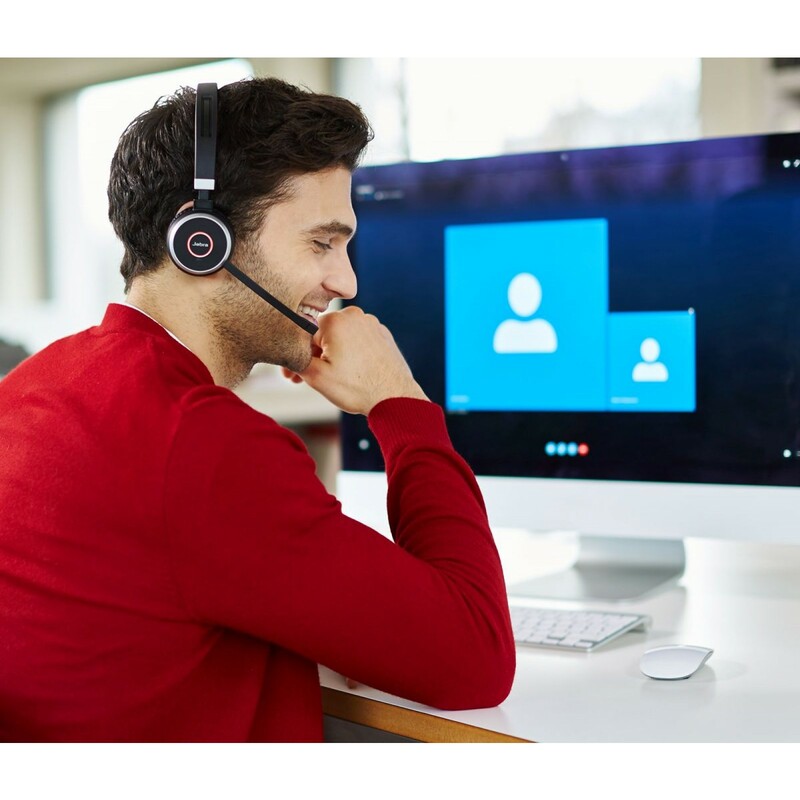 The Jabra EVOLVE 65 MS Mono is a professional Wireless Headset that offers style and top-class sound quality for VoIP, smartphone or tablet; and has been optimised for Microsoft Skype for Business. This is a great quality headset and much better than others I've tried. 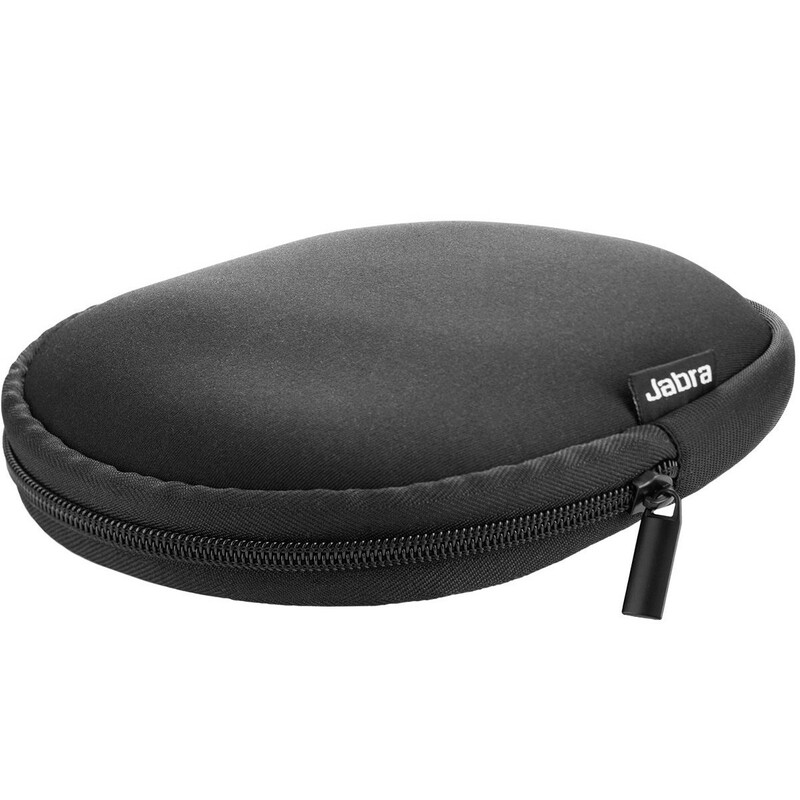 Excellent sound quality and very comfortable to wear for long periods (I only use this as a work tool so sound quality is great for that). 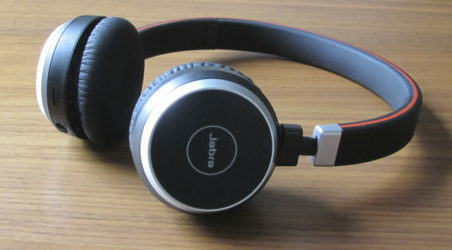 Far superior to the cheaper stereo headphones I was using before. 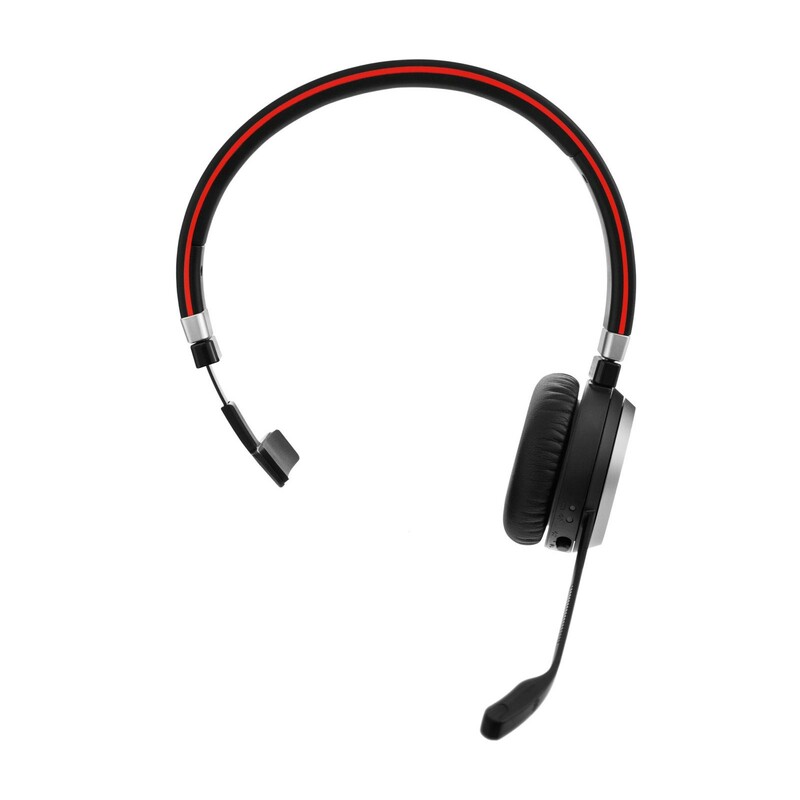 Customer have also commented that I sound much clearer since I started using this headset! Set-up was a breeze - just a case of plugging in the Bluetooth dongle and turning on the headset. I bought for use at work and I've had no problems at all. Far superior to the wired one I it replaced with the added benefit of being able to get up and move around. As it's only Bluetooth the range isn't that far but I can comfortably move around the office without dropping a call and no longer have wires falling over my keyboard and getting tangled. 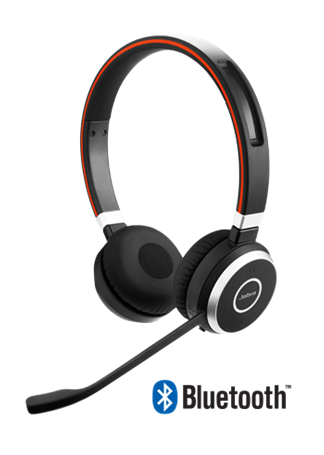 The sound quality is excellent and I like that the mic can be kept out the way by clicking it into the headband. The magnetic dock isn't that strong so it sometimes clicks back out but this isn't an issue. Excellent headset - would recommend!